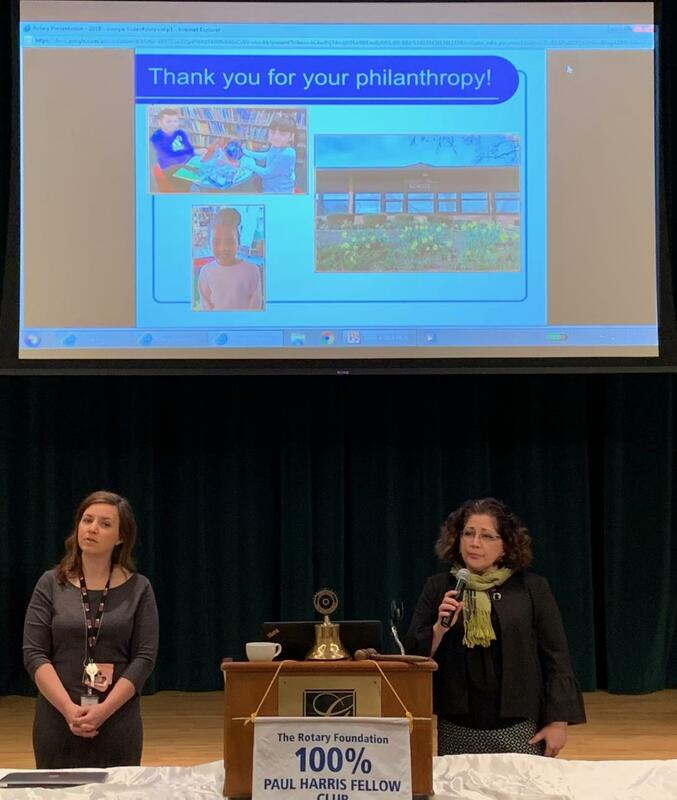 Above Lori & Cynthia discuss the positive progress being made by Sunny Hill Elementary School students along with several other guests educators representing the Middle Schools in District 220 who spoke to the positive impact Rotary’s support and funding have made at their schools. Additional relevant books were being purchased to support the educational and emotional needs of the children; an “unplug” from your phone bag was introduced; “prevention” activities and extra curricular activities were planned for at risk students; additional sports options were being planned to be more inclusive; mentoring luncheons with older students or graduates were being scheduled. In all 12 years of Rotary funding and involvement at Sunny Hill has enabled wrap around services for children with unique needs – Make a Wish holiday efforts, Homework Club, Rotary Reads, College Trip Days and field trips are welcomed.